What do you look for in a book? How do you go about finding that next book to read? I’m always looking for more books to read despite how many books I have on my shelves or stored on my Kindle Fire. Some people would go so far to say that I have an addiction to reading. Normally I enjoy browsing through my local bookstore. I can even order online through their website in the comfort of my own home. I like going through the and reading the synopsis on the back of the book, or on the inside of the dust cover, whichever the case may be. If there’s one that intrigues me, I’ll give it a try. So, I’m always browsing for that next book. However, I’m not above taking recommendations from other book lovers that have the same interests as me or can recommend something based on what I’ve read previously. I recently finished reading this book and I wanted to share it with you. I ordered this book online at Books-a-million.com and it showed up in pristine condition. I loved this book. It only took me a couple of days to read it, which is pretty fast for me. The characters really came to life. They seemed so real and believable. The story kept me hooked from beginning to end. I was surprised when I got to the end but I did like how the book ended. I hope that there will be more literature in store from this author. Synopsis: At the tail-end of the Civil War, the United States was in the grip of an internal struggle many thought it would never see the end of. Moral and political struggles gave way to violence, gunpowder and bloodshed filling the landscape. The struggle found was mirrored in the life of Willis Reed, a young soldier torn between his duty to his family and to the love of his life. 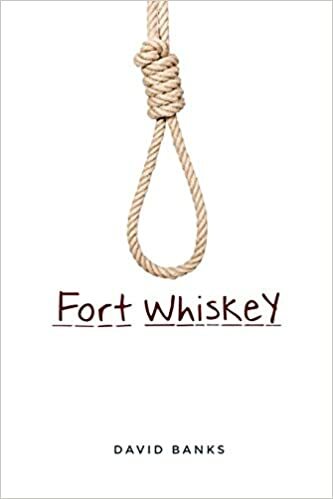 In his adventure, set in the state of Arkansas, which was so hotly contested in the war, can he choose what is right and make it out with his life? Which characters come to mind when someone asks you who is a well written character? One character that stands out in my mind is Professor Severus Snape from the Harry Potter series. Throughout the entire series, you constantly question yourself about whose side he’s on and that it isn’t revealed until the very end of the final book. While you can clearly see the motives of the other characters in that series, you don’t see his until the very end when all is revealed. I couldn’t even begin to guess until I finished the final book. Mordecai Tremaine is another well written character. He is a retired tobacconist and an amateur sleuth that helps find out who the murderer is in each book written by Francis Duncan. Each book is a classic “who done it” mystery. If you are a fan of Agatha Christie, these books may be of interest you. I just recently finished reading this book and I wanted to share it with you. I picked this book up at my local bookstore a few weeks back (in paperback form) because I found the synopsis intriguing. It’s a great book to read if you like a book that is full of suspense and will keep you on the edge of your seat. Also, I would never have guessed the ending either and I like that. I don’t want to read something that I can guess what is going to happen before I am finished with the book. This book is pretty creepy throughout and probably not for the faint of heart or little kids. Synopsis: In 1986, Eddie and his friends are on the verge of adolescence, spending their days biking in search of adventure. The chalk men are their secret code, stick figures they draw for one another as hidden messages. But one morning the friends find a chalk man leading them to the woods. They follow the message, only to find the dead body of a teenage girl. In 2016, Eddie is nursing a drinking problem and trying to forget his past, until one day he gets a letter containing a chalk man – the same one he and his friends saw when they found the body. Soon he learns that all his old friends received the same note. When one of them is killed, Eddie realizes that saving himself means figuring out what happened all those years ago. But digging into the past proves to be more dangerous than he could have known. Because in this town, everyone has secrets, no one is innocent, and some will do anything to bury the truth. 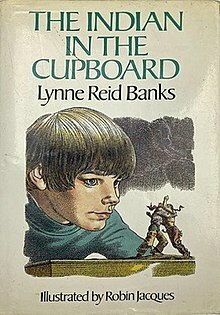 One of my favorites as a kid was “The Indian in the Cupboard” by Lynne Reid Banks. When I was in school, I read it around 5th or 6th grade. A young boy name Omri receives a plastic Indian figure from his friend as a birthday present. He also receives a small cupboard from his brother and finds out the Indian has come to life upon being placed in the cupboard. I don’t want to tell you too much about the story because I’m not one who likes to reveal spoilers and ruin the book for anyone who wants to read it. But there are more stories that continue in “Return of the Indian”, “The Secret of the Indian”, “The Mystery of the Cupboard” and “The Key to the Indian”. I knew there was a second book but I didn’t realize the story continued into so many books. I’m kind of curious to see how the story continues on in the other books so I’m thinking of re-reading “The Indian in the Cupboard” and then reading through all the others. 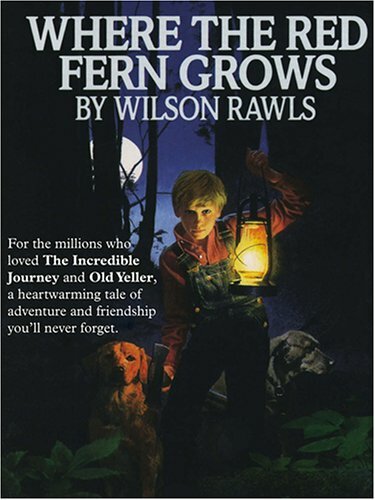 When I was a kid, one of my favorites was “Where the Red Fern Grows” by Wilson Rawls (as seen below). It’s a wonderful, heartwarming tale about a boy and his two hunting dogs. I think I may have even read this book more than once. I know they made a movie based on this book quite a while back. I’m kind of surprised they haven’t done a remake yet. Hollywood seems to like rebooting things as of late. Anyway, if you like tales about the bond between man and dog, this would be a good book to read. Get a glimpse into Christmasland! Back in January of this year, I had written an article about a tv show that they’re making back when they first provided a still photo of what the villain would look like. The book is called “NOS4A2” and it’s written by Joe Hill (there is still time to go read the book before the show comes out). Well, I am now happy to report that they’ve now released a trailer for the show and it will air on AMC on June 5th of this year. I’m so happy to get a little bit of an insight to the show and get a premiere date. June 5th can’t get here fast enough! 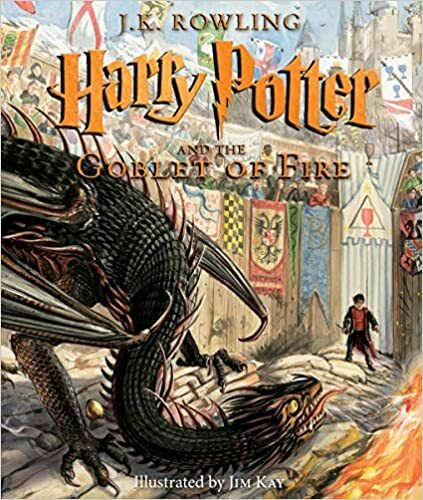 Finally…..we get a release date and the cover art for the illustrated edition of the 4th installment of the Harry Potter series, Goblet of Fire. The release date is October 8, 2019 (according to Amazon) and you can view the cover art below. I have been collecting each copy of the illustrated editions ever since I found out they were being released. I plan on re-reading the entire Harry Potter series once I get my hands on each of the illustrated edition of each book. It’ll be nice to get to see all the cool artwork they put into these books as I’m re-reading the series. Anyway, since this comes out in October, it’ll be too late to get this for my birthday but I’m sure I’ll get this for Christmas. What beverage do you normally like to enjoy while you’re reading? 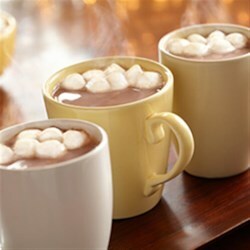 I like to drink a nice cup of hot chocolate with some marshmallows in it, however, I drink it mostly in the winter time. During the warmer months, probably just a bottle of water or the occasional Mountain Dew Baja Blast. I don’t normally enjoy a lot of snacks while reading because I don’t want to mess up my books while I’m reading. I’m might enjoy a small amount of chocolate (milk chocolate is preferred) as long as it’s not something that will get all over my hands. I’m just very particular about not messing up the books I have or damaging them in anyway. I’m sure we’ve all experienced reading something for school. Do you think that being forced to read for school ruins the book? I don’t think that was always the case with me. I was one of the people that was happy to read. Normally the teachers would let us choose what we read in school most of the time. There were some cases where the teachers would pick but I ended up liking the books we read. For example, there was one year we read “The House of Dies Drear” by Virginia Hamilton, which I ended up liking. The following year, I found out that there was a sequel called “The Mystery of Drear House” and I ended up reading that book as well. Well, last year I ended up getting I got the e-book version of both books put on my Kindle Fire and read them. They were still good books the second time around. One year, I remember doing a book report on the book we were reading and the teacher offered us bonus points if we dressed up as one of the characters from the book. Well, I was reading “Charlotte’s Web” by E. B. White and I dressed up as Fern. I even brought a stuffed pig with me to serve as Wilbur. My favorite part is one year in grade school the teacher let us bring out sleeping bags and out favorite book to school. This was on the last day of school (or very near the end of of the school year). The teacher was rewarding us for being good and I remember getting to have fun on that day. I also remember a teacher letting us trade books with our friends and we’d read get to read what everyone else brought. I have always enjoyed reading. Even before I was old enough to read on my own, I enjoyed it when someone would read to me. There wasn’t a specific event in my life that sparked my interest in reading. It’s just something that has been with me my entire life. Where the creator meets the creation. Life is far too short, to not feel alive today.